FCC Commissioner Jessica Rosenworcel has asked CQ to encourage readers to file written comments on the role of amateur radio in providing communications in large-scale disasters as part of its ongoing inquiry into "network resilience and reliability" in the wake of superstorm Sandy. The first hearing as part of that inquiry was held on February 5 in New York City and New Jersey. A second hearing was scheduled in California on February 28. The docket number is 11-60, titled "Notice of Inquiry into Network Continuity and Reliability." Comments may be filed via the FCC's Electronic Comment Filing System (ECFS), which may be accessed at <http://apps.fcc.gov/ecfs/>. Additional photos and information from the hearing may be found in the CQ Photo Gallery at <http://bit.ly/XiDtge>. NOTE: Proceeding number above has been updated as of 3/19/13. The original docket number we were given, DA 13-140, does not seem to be recognized by the ECFS. Docket 11-60 is an ongoing proceeding on network reliability, on which comments related to Sandy have been filed by the Commission as well as by individuals. 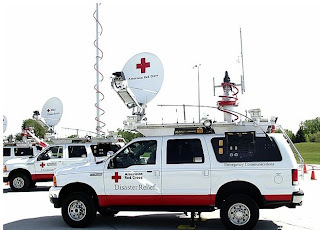 The American Red Cross had decided to phase out its Emergency Communications Response Vehicles (ECRVs) that have been a ubiquitous part of its presence at the scene of major disasters over the past decade. According to the ARRL, the move is part of a long-term strategy to move toward more portable communications systems that will be able to be used in any vehicle. The League says the Red Cross has assured it that the move will in no way decrease its reliance on amateur radio and amateur radio operators as part of its disaster response. It quoted Red Cross Disaster Services Technology Manager Keith Robertory, KG4UIR, as noting that, "(i)n a disaster, amateur radio will be the fastest-deployed radio network because operators already live in the impacted communities." He says local Red Cross chapters should continue and improve existing relationships with local hams. Possible updates to the HF band plan for North and South America will be on the agenda at this year's conference of Region 2 of the International Amateur Radio Union (IARU), and input is sought on suggested changes … but there is a March 1 deadline. The band plan is voluntary and specific regulations of government agencies such as the FCC take precedence. According to the ARRL, interested hams should study the current bandplan at <http://www.iaru-2.org/band-plan> and e-mail any suggested changes by March 1 to their national association. A list of contact information is at <http://www.iaru-2.org/directory>. One of the major actions of the ARRL Board of Directors at its January meeting was to set priorities for seeking legislative action in the 113th Congress, which will serve through 2013 and 2014. Top of the list is an attempt to get a bill through Congress to require the FCC to extend its "reasonable accommodation" rule for amateur antennas and towers to include private land use agreements (CC&Rs) in addition to state and local laws. 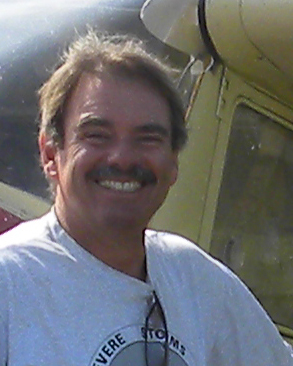 Also high on the list, according to the ARRL Letter, is opposition to legislation that "would lead to the reallocation of amateur spectrum or to sharing arrangements that reduce the utility of existing allocations," and to bills that would diminish the rights of licensed stations in favor of unlicensed technologies. That goal appears to be getting an immediate test (see next item). The FCC in late February issued a Notice of Proposed Rule Making (FCC 13-22) seeking to provide an additional 195 megahertz of spectrum in the 5 GHz band for unlicensed Wi-Fi use, as well as other broadband services. Amateurs currently have a secondary allocation on the band between 5.650 and 5.925 GHz, and since 1997, 100 MHz of that allocation (5.725-5.825 GHz) has been shared with unlicensed "National Information Infrastructure" users. The new proposal would extend that shared spectrum to include 5.850-5.925 GHz, effectively making all but 100 MHz of the amateur allocation on the band shared with unlicensed Wi-Fi devices. There's a new winter weather "app" available for Apple and Android mobile devices that helps forecasters get a clearer picture of ground conditions, and a ham is the leader of the team that developed it. Dr. Kim Elmore, N5OP, is a research meteorologist with the National Oceanic and Atmospheric Administration (NOAA) and was Principal Investigator on the project to develop the free "mPING" app. The ARRL Letter reports that users of mPING, which stands for "mobile Precipitation Identification Near the Ground," may simply select the type of precipitation that is falling at their location -- such as rain, snow, sleet or hail -- and press submit. Time and location of the observation are automatically included with the report. Ham Episode to Air on "Last Man Standing"
Ham radio has finally played a part in an episode of ABC's comedy "Last Man Standing," starring Tim Allen as outdoorsman Mike Baxter. An episode taped in February and scheduled to air in mid-March includes a cast member (not Allen) calling in from a portable HF station while hiking in the Amazon. Baxter's real ham station and fictional call sign, KA0XTT, have been fixtures on the show for the past two seasons, but only in the background. The program airs Friday nights at 8 Eastern and Pacific time, 7 Central, on ABC. If you missed the episode (#217), it should also be available for viewing online via the "ABC Player" app or from the ABC website. In the wake of high-profile crashes and slowdowns of the ARRL's Logbook of the World (LoTW) online confirmation system, the League's board of directors has established an ad hoc committee to review current policies and practices, user issues and, according to the ARRL Letter, "the economic value of an LoTW award point or credit." The committee will deliver a preliminary report to the full board at its next meeting in July. There is no indication of how or whether the committee's work may affect plans to introduce LoTW support for CQ's Worked All Zones (WAZ) award later this year. Last year, the ARRL reported on its website (and we reported on the League's report here) that then newly-elected Serbian Prime Minister Ivica Dacic was a licensed amateur, holding the call sign YU1YU. The League now says that's only partially correct. It seems that the Prime Minister did pass his license exam and was a member of a radio club, but had never applied for a personal call sign. Apparently, receiving a call sign in Serbia is not automatic after passing an amateur license exam, but must be requested. 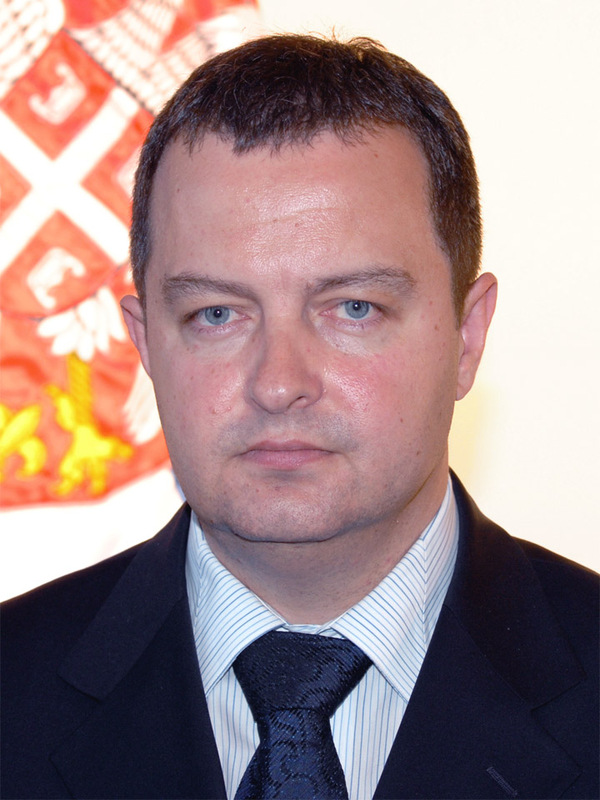 YU1YU was suggested to Dacic as a possible call, says the ARRL, but he never followed up. Hammond Manufacturing of Guelph, Ontario and Cheektowaga, New York, is the new manufacturer of the Peter Dahl line of transformers and other magnetic products. Peter Dahl transformers have been staples among both amateur and professional builders for decades and have been manufactured since Dahl's death several years ago by Harbach Electronics. In early February, Harbach's Jeff Weinberg, W8CQ, announced that his company would be discontinuing the line, but followed up soon after with the announcement that Hammond had agreed in principle to acquire the Peter Dahl line. The deal was to be completed by March 31. For more information, see <http:harbachelectronics.com> and/or <http://www.hammondmfg.com>. The ARRL Letter reports that the Universal Postal Union has rolled out a new "model" of the International Reply Coupon, or IRC. Known as the Doha model, the new coupons will become available on July 1, 2013 and will be good through December 31, 2017. The current "Nairobi" model IRCs are valid through December 31, 2013. The U.S. Postal Service no longer sells IRCs but post offices in the U.S. must redeem them and they may still be purchased in other countries. No, it's not Zombies in Space, but rather an experiment to see the extent to which "exhaust" from new electric thruster engines may disrupt radio communications. According to the AMSAT News Service these new thrusters, which NASA is planning to use for future space exploration missions, produce highly-ionized plumes of space plasma that have a side-effect of scattering RF signals. The experiments carried out in early February, used the International Space Station's amateur radio packet beacon on 145.825 MHz to help determine the size, shape and duration of the RF "shadow" that would result each time a thruster is fired. Participating ham stations noted the times at which the beacon signals disappeared and reappeared as the ISS flew over their locations. 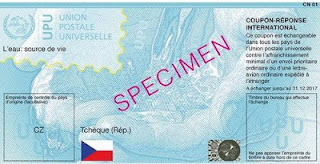 More information about the experiment may be found at <http://bit.ly/sEKOJd>. Iceland has joined the growing list of countries permitting amateurs to operate on 472-479 kHz, as a result of action at last year's World Radiocommunication Conference to create a worldwide secondary amateur allocation on the band. The ARRL Letter reported that the new privileges became effective on January 16. Still no FCC action to establish an amateur allocation on these frequencies in the U.S.
Newsline reports that hams in Greenland and Sweden have new or expanded access to the 60-meter (5 MHz) band, and the ARRL says amateurs in Australia may lose their privileges on 2300-2302 MHz. The Wirelesss Institute of Australia is opposing the move, claiming it will cut off Australian hams from pursuing Earth-Moon-Earth (EME) contacts on the band with hams in other parts of the world. The code behind the popular PSK-31 digital mode has now been officially endorsed by the International Telecommunication Union and given its own "recommendation" number. The ARRL reports that the technical characteristics of "Varicode," developed by Peter Martinez, G3PLX, in the 1990s and which serves as the underpinning of PSK-31, has been officially enshrined by the ITU as Recommendation ITU-R M.2034, Telegraphic Alphabet for Data Communication by Phase Shift Keying at 31 Baud in the Amateur and Amateur Satellite Services. ARRL CEO Dave Sumner, K1ZZ, says the primary value of the designation is that it "provides further documentation in an important international forum of radio amateurs' continuing creativity and contributions to the art and science of radio communication." Speaking of the ITU, an electronic version of its 2012 International Radio Regulations may be downloaded at no charge from the ITU website at <http://www.itu.int/pub/R-REG-RR-2012>. This update includes decisions of international radio conferences going back to 1995. The relevant section for hams is Article 25. 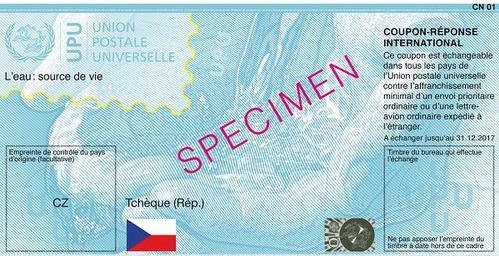 If you prefer a hard copy, it is also available, but at a cost of more than $400 US. Championship will be held in Bulgaria. So you think your code skills are world-class? Here's a chance to put them to the test: The Bulgarian Federation of Radio Amateurs will host the 11th World High Speed Telegraphy Championship in September. Newsline reports the event will be held in the city of Borovets between September 22 and 26, and that competitors from all over the world are invited to participate. More information is available at <www.bfra.org> or by e-mail to <bfra_hq@hotmail.com>.